This New For Us Friday I did something that really made my husband jealous. I got a behind-the-scenes look at the new and exciting things going on at Camden Yards, home of the Baltimore Orioles, before anyone else. All in the name of a huuuuge summer o’ celebration of 20 years at Camden Yards. Woot! And even though I came home with a cool DugoutClub membership for one of our kids (and THREE to giveaway to three teach mama readers–woot! ), he’s still a little sour. Hopefully, though, after a summer of ballgames at the Yard–and with all the new surprises over there, he’ll get over it. 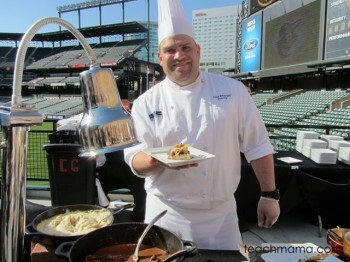 NEW at Camden Yards: I wasn’t sure what to expect when the invitation said, ‘We will reveal the latest renovations, experiences, and food elements that will be featured at Oriole Park this season. . . ‘ but you better believe I was psyched. Though we are not season ticket holders for any sport, we are sport fans and try to get our family out to a few games each season. We’re firm believers in the fact that any sort of event–whether rec league, high school, minor league, or major league–is worth taking our kids to enjoy. And Camden Yards is one of our fave ballparks because it is so family-friendly. So beautiful. So easy. 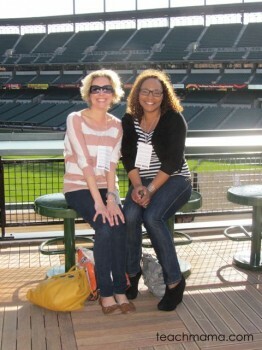 And baseball games are super-awesome places for sneaking in some fun learning along the way. 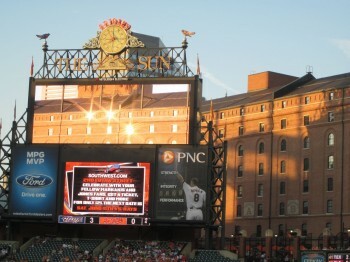 great photo of Camden Yards from last summer. . . Fan Assistance Center: For first-time visitors to the Yard, children will receive a free certificate celebrating their first visit to the park! Kids Corner: (near gate c) Moon Bounce. Speed Pitch. Climb and Play area. Batting Cage. FUN. Left Field All-Inclusive Picnic Perch: Families receive a Left Field Club Box seat (sections 282-288), access to exclusive Club Level at Oriole Park, as well as unlimited hot dogs, salads, nachos, sodas, and other menu items. Steal Second Base (by ESSKAY): Every Sunday home game, one young fan can participate in a timed race from the grounds crew area in center field to retrieve second base. Kids can sign up at any Fan Assistance Center, and the lucky winner will receive four tickets to that day’s game, gift certificates to use inside the park, an Orioles jersey, and an Orioles prize pack. Omg. My kids would go batty. Free Birthday Ticket: visit orioles.com/birthday for info on how your kiddo can get a free ticket on his or her birthday! Honorary Bat Kids Program: Kids 6-14 can fill out an entry form at select Giant Food Stores to receive a chance to win four tickets, on-field access, autographs, and more! sculptures of the six greatest Orioles of all-time will be unveiled in the new center field garden in the bullpen picnic area, six players, one revealed each month. Do you want to win one of THREE DugoutClub packs?! All you have to do is leave a comment here sharing what YOU look for in a family-friendly ballpark! This giveaway ends Friday, April 13, 2012 at midnight ET. Winner will be chosen by ‘And the Winner is. . .’ and will be notified on or around 4/13/12. Winner must respond within three (3) days of notification or forfeit the prize, in which case an alternate winner will be selected. All Official Sweepstakes Rules apply. fyi: This is an unsponsored post, which I wrote because I was invited to be a part of the Orioles Birdland Blogger program. I did receive one DugoutClub pack for free, but all other opinions are my own, influenced only by my three little ball-players and their ballpark fan father. I always look to see what kind of activities there are for the kids and how easy it is to get from our seats to the nearest bathroom/food stand/place to run amok. We used to spend a lot of time at the Bowie Baysox stadium. 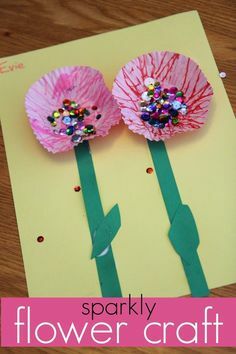 I pinned this article on Pinterest. I shared this post with my brother who is a big Orioles fan. A truly family-friendly ballpark has a place where a parent can watch a game while the kid can wander. For example, at RFK, one could “take a lap” with the kid and still see the game, because the walkways had a view of the stadium, unlike most walkways which are behind the seats by the vendors. Also, love the sandbox at San Diego. That is the most family-friendly thing I’ve ever witnessed. A family friendly ballpark needs to have a place with SHADE to take the kids to when it gets super hot outside. Plus it’s nice to have a place to stand and watch the game when little ones get antsy in their seats. A play area is great, too! I do like having activity books for kids. A family-friendly park is one that makes you feel at home as soon as you walk in. 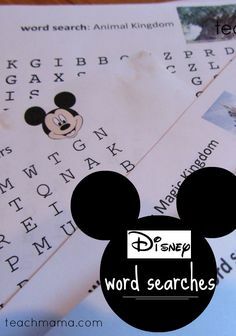 One that has plenty of kids activities and provides a good experience for the kids. One where it’s easy to be close to the field and catch a ball tossed to you by a generous player. I had that experience at Nationals Park. I hope to take my son to Orioles Park soon too, where I used to attend many games. When we go, I hope his experience is as good or better than he had at Nationals Park. I always look forward to quality time spent together and of course eating good hot dogs! 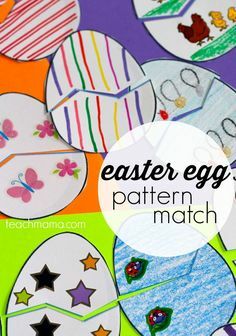 Hello, I stumbled upon your site on pinterest and LOVE it! I, too, consider myself a tech mom. I’m actually a high school English teacher in Maryland and the technology rep for our building along with a Promethean leader for our ActivBoard users in the county. 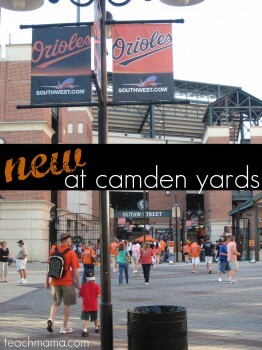 Thanks so much for sharing all the fun new things at Camden Yards! We LOVE going to games… in fact, our daughter’s name is Camden (no kidding). 🙂 Let’s Go O’s!!! I totally want to win this. I grew up seeing Orioles games before there even was a Camden Yards and this would give me the opportunity to pay that forward to my son (the next generation of O’s fans in my family). The Mother’s Day game looks fun! Great food is a must at any ballpark because being able to enjoy the game while munching on some treats make the experience so much more fun! A family friendly ballpark comes with a free babysitter for your 2 year old and 8 month old!!! hahaha! Seriously, a family friendly park welcomes kids and has a place to wander when your kids get tired of sitting! Baseball games are so fun and we look forward to the years when we can enjoy them as a family! OMG, my son just might pee himself if we win this – we are long-standing Orioles fans. We look for reasonable prices and a family-friendly atmosphere at ballparks. We like the Hagerstown Suns and Frederick Keys minor league parks for just those reasons. It sounds like Camden Yards is working to make itself more family friendly, and that’s wonderful! Our oldest loves going to baseball games, but the younger two don’t quite have it in them to sit through a whole game just yet. So, parks that offer some distractions other than the game are helpful for our “mixed-age” family. 🙂 Thanks for the offer! we have a 2 year old and have not taken him to a baseball game but I would have to say that the most important thing for our little one would be great visibilty from the seats, family friendly bathrooms and great “dot dogs”!!!! Clean bathrooms, affordable food and a recreation area for the kids is a bonus. I look for things available for a wide age range. Both kids are young now, but we are loyalists, and like to go to the same places! Camden Yards gave both my kids a “First Game” certificate when they were babies, but now they enjoy the speed pitch, giant bobble heads and of course, the Oriole Bird. We look for things that offer a few different activities so that after a while we can go to something new and then come back to the original activity. Plus a place that it doesn’t matter if the kids get a little loud. The kids haven’t been to an O’s game yet and it is on our list this summer so we’d love to win! Thanks for all the info too!